Your students will love to be called on with this adorable "Who's Next" student chooser. Click on the magician to hear a drum roll and drag a bunny with your student's name from the hat. 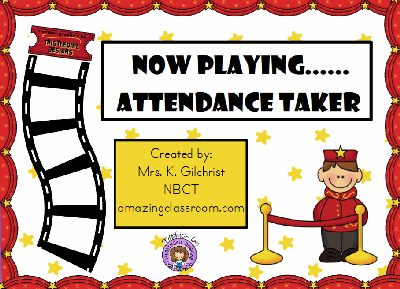 There are enough bunnies for forty students, a video included to show you how to customize this random name caller for your classroom, and page notes included for other ways to use this flipchart. 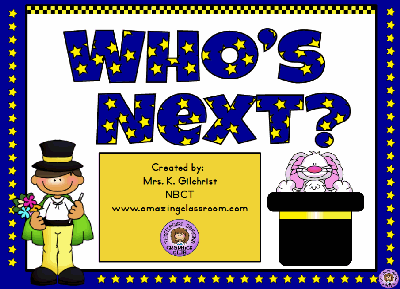 Add fun to any activity in your classroom by using "Who's Next! What a darling way to take attendance! Use this flipchart in the mornings to see who's here and who's absent! Your students will love the cute graphics from thistlegirl designs and they will love interacting and moving their star to show they are here. Extra stars are provided in the flipchart if you need them! Enjoy! Do your students need practice with finding, identifying, and editing sentences, letters, dates, cities, and states? This flipchart is the perfect lesson to give your students the extra practice they need. It includes many pages of interactivity along with tons of voting questions to use as a formative and/or summative assessment. This flipchart lesson includes many cute thistlegirl designs. Enjoy! This flipchart will surely have your students knowing the differences between the confusing to, too, and two words. This flipchart has numerous interactive pages in the flipchart for the students to complete such as containers, restrictors, and magic revealers. This flipchart is absolutely adorable! 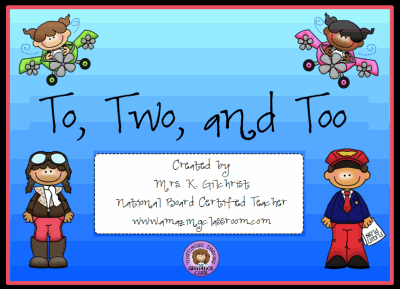 Many images from this flipchart lesson come from www.thistlegirldesigns.com and we have a commercial license to use their images. Enjoy! Do you want to create your own Jeopardy games, but aren't sure how? 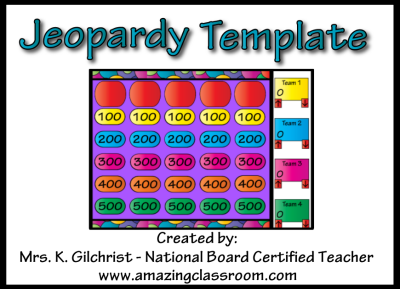 Now with this neatly designed, bright and colorful template you can make Jeopardy review games for your classroom in a snap! Just add your own categories and questions! Play up to four teams. The arrows underneath each team name keep score by the hundreds with just a click. Use with your voting devices for even more fun! Do you put morning work on the board for your students? This flipchart contains math morning work for 25 days of school. This morning work covers number sense, algebraic relationships, geometry, measurement, and data and probability. No more creating morning work for your students, just pull up this flipchart each morning and display one of the flipchart pages on your interactive whiteboard. Enjoy! 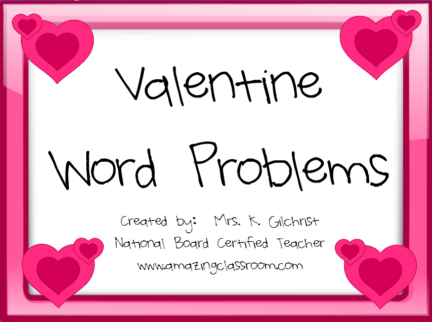 Your students will have a fun time solving these Valentine's Day themed word problems. The colorful backgrounds and graphics will be sure to keep them interested in the lesson. This flipchart focuses on addition, subtraction, and multiplication Valentine's Day themed word problems you and your students will be sure to love! Enjoy! With this flipchart, your students will be able to identify figures that have been flipped, slid, or turned. This flipchart lesson contains twenty nine pages of colorful graphics, activities, games, and voting. 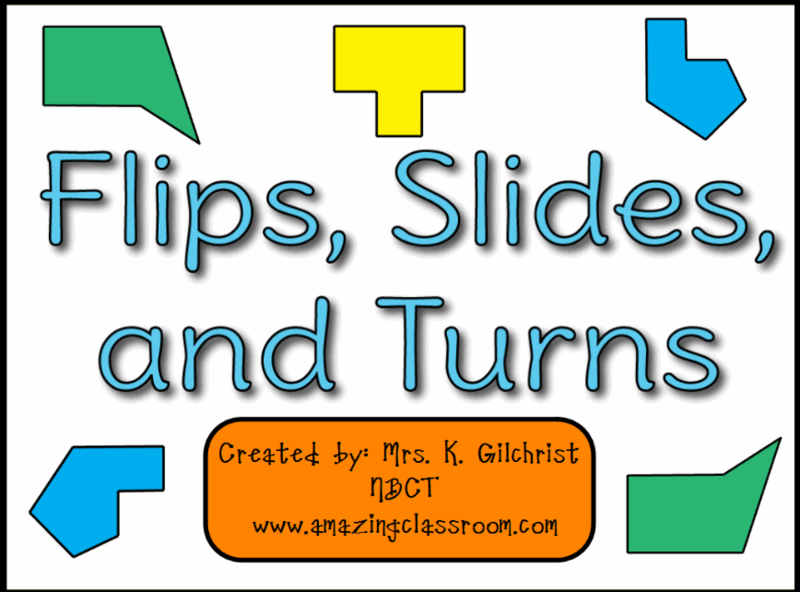 Students will learn all about flips, slides, and turns, manipulate shapes, and play games during this flipchart lesson. 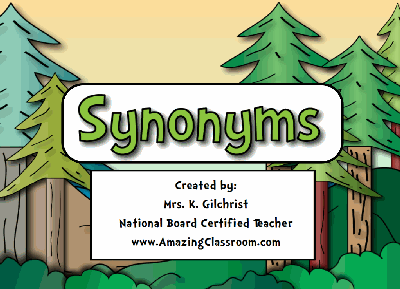 With this flipchart lesson, your students will be able to define and identify synonyms. This flipchart begins by stating the objectives, and then introduces students to examples of synonyms. Container activities and magic revealers add interactivity and fun to the lesson. There are over twenty colorful pages of interactive games, activities, and voting for use with Activexpression or Activote devices. Enjoy! This flipchart is sure to delight your students as Santa calls them to come to the board or answer a question. 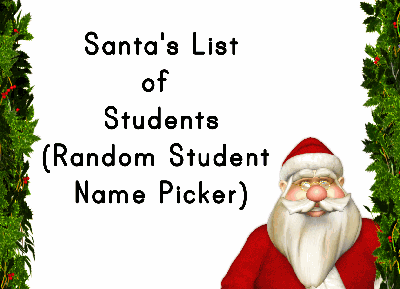 This is just another cute way to grab your students' attention around the holiday season. 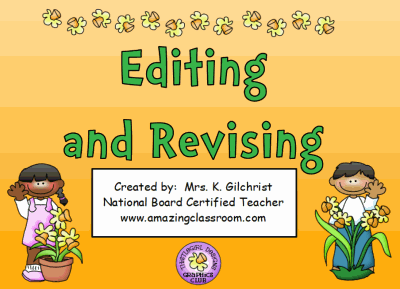 Page notes are included if you need to copy more wreaths for your classroom. Enjoy!